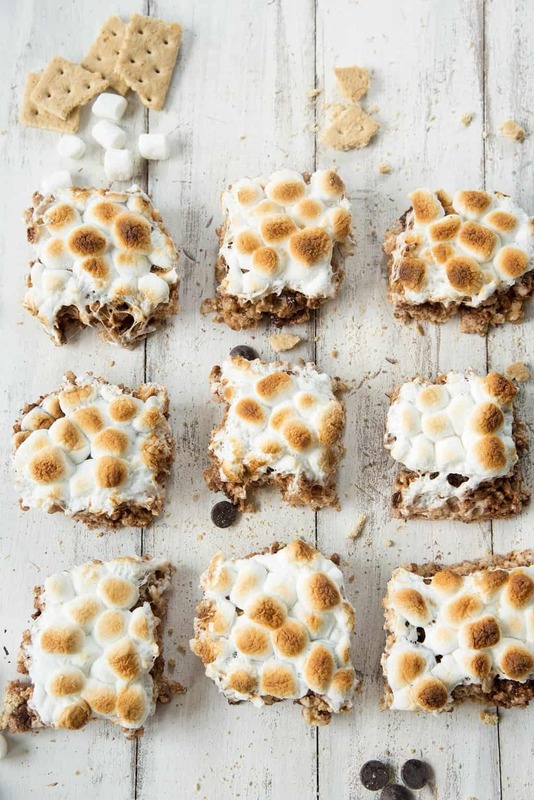 Is it just me or does it seem like the s’more craze is popping up everywhere? 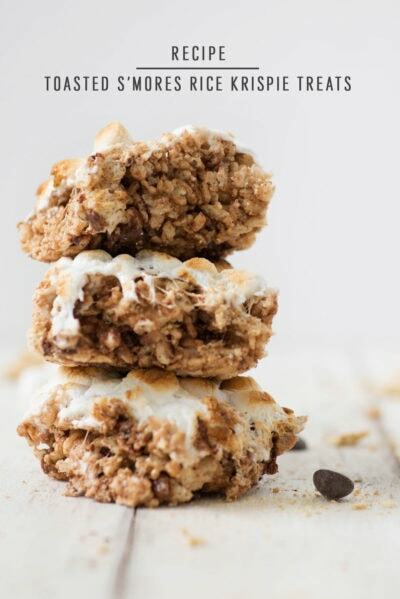 When my favorite coffee shop started selling s’more lattes and s’more macarons, I knew I had to experiment with the same ingredients in my kitchen. And, as a huge marshmallow fan, I, Alex, personally can’t get enough. 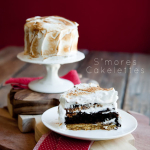 The beauty of s’mores is their simplicity- just three ingredients- and the fun you have when eating one. 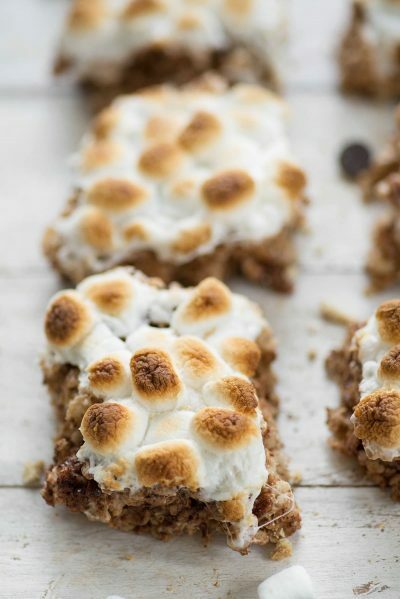 The gooier the chocolate and stickier the marshmallows, the better. Line a 8x8" baking pan with parchment paper or plastic wrap. This will make for easier removal of the bars to slice. Melt the butter in a large saucepan over medium-low heat. 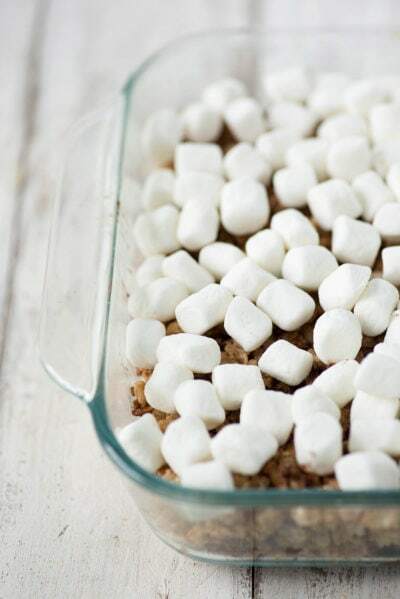 Add 4 cups of marshmallows and stir until just melted. 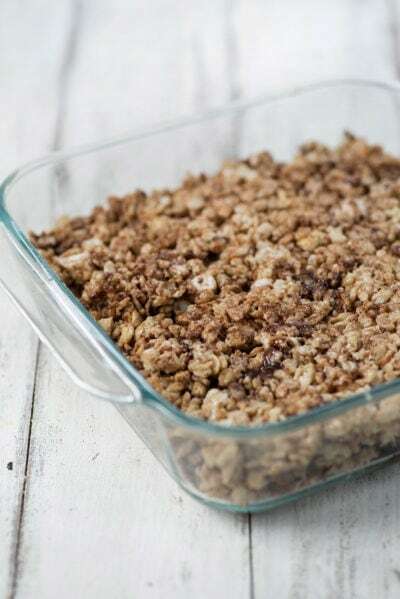 Stir in the rice cereal and crushed graham cracker crumbs. Once the mixture has mostly come together, add in chocolate chips and stir to just combine. Press mixture into the prepared pan and let cool to set, about 30 minutes. 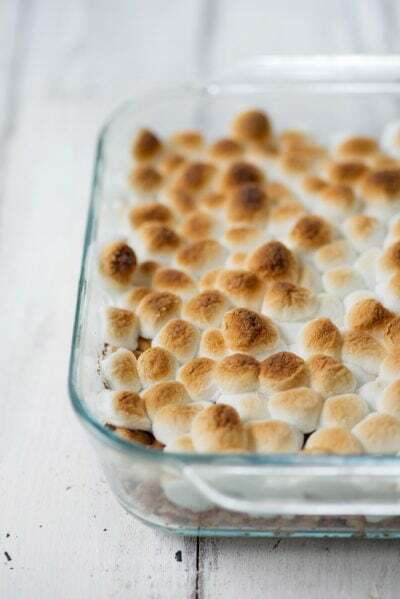 Place the remaining marshmallows on top and place the entire pan under the broiler to toast the 'mellows. Keep an eye on them as they can go from nothing to very toasted quickly. When they have browned to your liking, remove and let cool slightly. Slice and enjoy! I prefer my marshmallows well toasted, my philosophy being the more burnt edges, the better. 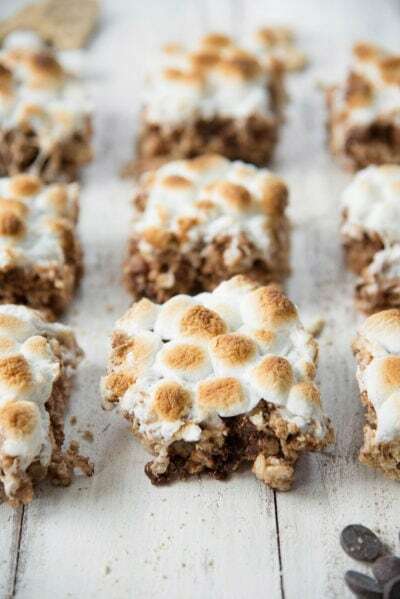 However, these taste just as delicious with only a slight browning of the marshmallow topping. Either way, keep a close eye on them under the broiler as they can go from light to extra-burnt in seconds. When done, remove from the oven and let cool slightly. I know, I know, but the roof of your mouth with thank me on this one. 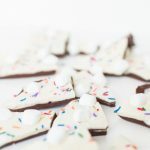 As you can tell from this bark recipe and this cookie recipe, we are all definitely fans of s’mores around here. What can we say we can’t get enough, ha! 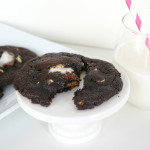 These look amazing and the fact they are so easy makes them even more awesome. 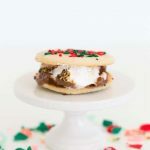 I can’t wait to make these for my friends and family around christmas time – I know they are going to love them. Thanks so much.